Bench Press is a classic exercise among weightlifters. Being an exceptional strength builder exercise, it is favored by bodybuilders, power lifters, and athletes, equally. If done with proper technique, it is a compound exercise, which targets several muscle groups. While the bench press primarily works on your “Pectoralis Major” i.e. your chest, your shoulders, triceps, biceps, back and even your glutes assist in the workout, thus making this a full body exercise. The main thing about the bench press is the technique. You might end up hurting yourself if your technique is not correct. All factors from the placement of your feet and your hands, to your grip, should be taken into consideration, when you bench press. Before you do bench press, make sure your legs are bent 90 degrees to your body and feet flat on the ground. The barbell on the rack should be right above your forehead. You may arch your back slightly although many people don’t agree on this. This helps keep your spine neutral and protected. Grip the barbell tightly. Grip the bar from the base of your palm and wrap your thumb around the bar. This reduces wrist injury. Your grip depends on your body type. If you have longer arms, then you should go with a wider grip, whereas, short arms should go with a narrow grip. Brace yourself when you unrack the bar. Alternatively, get a spotter to help you to unrack. Now breathe in and lower the barbell towards your chest. Again, the placement of the bar on your chest depends on your grip and body type. Breathe out, push your legs to the ground and lift up. 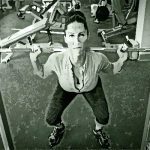 Unlike Deadlifts, you will not be doing a vertical lift but a slightly inclined lift. 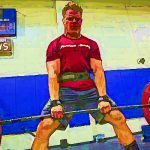 If you want to bench press, pain and injury free, you will need proper technique and follow safety instructions like using a training partner. 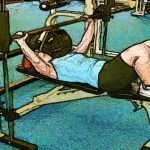 It is not about how much you bench press, but do it without harming yourself. While lowering the bar tuck your elbows at 75 degrees. Do not flare your elbows at 90 degrees, to stretch your chest, as you might be impinging your shoulder. Arching is advisable while doing bench press, but make sure your lower back does not hurt when you arch. Your arch should come from your upper to mid back. When you lift the bar, the barbell should be over your shoulders while completing the lift, not at chest level. When it is over your shoulders, you have your entire arm under it to support your lift. On every lift drive your foot to the ground, and then press up. This creates a tension throughout your body and it will make your lift more effective. 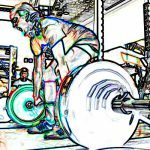 Do not bounce the barbell off your chest. You will end up hurting your ribcage. Allow the barbell to touch your chest and lift off. 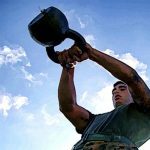 Be in control of your weights. When you are doing the same exercise repeatedly, you hit a plateau. Getting out of this routine is as easy as reversing your grip on the bench press bar. The format of the workout remains the same, other than the grip, in which your forearm faces you. In reverse grip, your Pectoralis Major is still the major muscle group worked, while the pressure on your shoulders is lessened. You should also consider a reverse grip bench press when you have weak shoulders. This grip takes the pressure off your shoulders while working your triceps along with biceps, much more than a classic bench press. In the reverse grip, your wrists should be facing you and have a slight bend to it. This way the barbell is more secure in your hands but it may put a slight pressure on your wrists. Lie flat on a bench, facing the ceiling and plant your feet firmly on both the sides of the bench. The bar should be in the heel of your palm, while you hold the barbell with a reverse grip, with thumbs around the bar. Your hands should be shoulder width apart. Breathe out in while you unrack the barbell and bring it down towards your chest. Maintain a bend in your arms. This helps you keep your weights under control. Make sure your elbows are tucked in at all times and do not let them flare out. 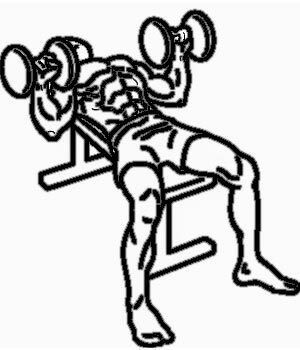 Flat Bench Dumbbell Press is great when you do not have a spotter and it gives you a deeper stretch when you reach the chest level. Another advantage is that it does not allow the stronger side to dominate, so you will have a balanced workout. The primary muscles worked are the Pectoralis Major and the triceps. You can also try variations as with the bench press by changing the angle of the bench or by changing the position of the dumbbells to face each other. Lie flat on a bench, facing the ceiling and secure your feet on both the sides of the bench. 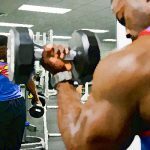 Hold the dumbbells with both your hands, keeping elbows slightly more than 90 degrees apart and facing away from the face. Exhale when you push up the dumbbell, and breathe in when you bring them to the starting position. When you reach the top, the dumbbells should be within inches of each other. Ideally, the time taken to lower the dumbbell should be twice of the time taken to lift up. Focus on form and technique by using lighter weights. When you build enough strength, you can increase your weights. Incline bench press is a variation of the traditional bench press, where instead of the bench being flat; it is inclined at an angle of 45 degrees. This variation works as many muscles as the classic version but it targets the upper chest and shoulders. Your shoulders will work more and more as the incline increases. This variation is more difficult than the flat bench press. The incline bench press works the front part of your chest (Pectoralis Major), the front portion of your shoulders (Anterior Deltoid), and the back of your arms (triceps). It also works on your back, core and glutes. Position yourself on the inclined bench with feet firmly on the ground. Your hands on the barbell should be slightly wider than your shoulder width. Unrack the barbell and hold it directly over your shoulders. Breathe in and bring down the barbell to the upper part of your chest, with your elbows placed at a 45-degree angle. Press your feet firmly on the ground, exhale and lift up. Do not lower the barbells towards your stomach as you will be overworking your biceps to hold on to the barbell. It is not recommended to flare up your arms since you will be placing your shoulders under immense stress. Also, do not bounce the barbell off your chest because you might end up bruising your rib cage. Bench Press is a standard exercise for building upper body strength. However, improper technique and form can result in injury. Instead of pushing yourself, find what suits you. 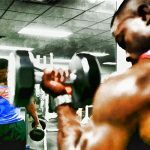 Start low on the weights while you perfect your form and technique and then increase the weights. If proper technique is followed, it can give you amazing results.